Presented by M+, Hong Kong’s museum for visual culture, "Mobile M+: NEONSIGNS.HK" is an online exhibition that celebrates a key feature of the city’s streetscapes by exploring, mapping and documenting its neon signs. Alongside curatorially-produced essays, videos, slideshows and artist commissions, over 4,000 photos were submitted by the public from 21 March to 30 June 2014 to collectively create a unique neon map of Hong Kong. The site will remain as a lasting record and examination of Hong Kong's fast disappearing neon signs. View the neon photos here. NEONSIGNS.HK wins two IDCA Awards! M+: NEONSIGNS.HK won "Best Temporary Exhibition Communications" & "Best Website" at the 5th International Design & Communication Awards – the world’s leading prize in cultural communications field with entries from 63 cultural organisations & 20 countries! 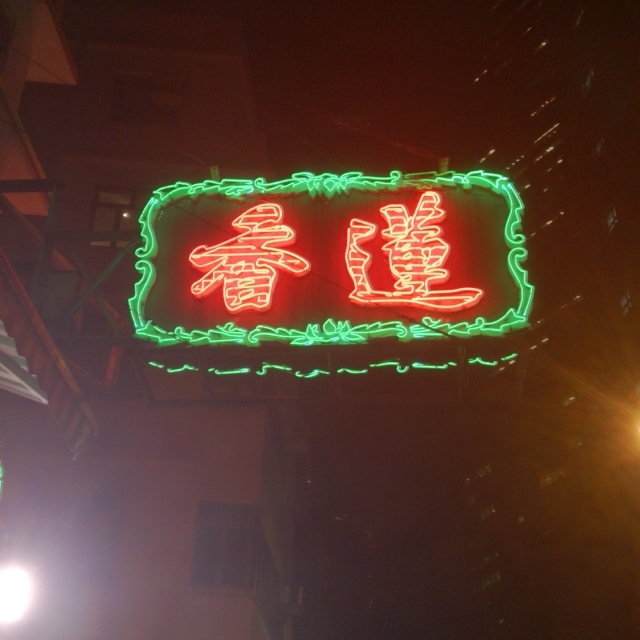 NEONSIGNS.HK now on Google Cultural Institute! We are thrilled to announce our partnership with Google Cultural Institute! Including new Google Street View features, before-and-after images of Hong Kong’s neon-lit streets, and a unique series of panoramic night shots of the city, the two new exhibitions offer further ways of looking at the visual culture of Hong Kong’s neon signs, as well as their past and present. Visit the exhibits here. NEONSIGNS.HK won the 'Oscars of the Internet'! We are delighted to announce that our website has been selected as an honouree at the 19th Webby Awards! Over 4,000 photos were submitted by the public from 21 March to 30 June 2014 to collectively create a unique neon map of Hong Kong. The site will remain as a lasting record of Hong Kong's fast disappearing neon signs. View the neon photos and the neon map. Thanks for all your support to 'Neon of the Month' Photo Competition! In the last month we have received over 200 entries. View the winning entries. There is no sign submitted for this category or district. Add your neon photo here! Tung Yan. Yan On. Disappearance. Dissonance. My Neon City is a series of mini-projects, commissioned by M+, inviting Hong Kong-based artists, writers, filmmakers and other cultural figures to examine, and reflect on, one or more of the city’s existing neon signs through their work. Check the Neon Map for their locations. Whether factual or fictional, and regardless of medium, it is hoped these projects can help prompt new ways of seeing neon signs and their role in visual culture. TIPS: On a neon sign, the words are created by glass tubes. On a LED sign, the words are composed by many tiny light bulbs. Don’t mix them up! enter the location of the neon sign. Images size cannot exceed 5MB; only JPG/PNG files will be accepted. For legal reasons, only images from valid email addresses will be accepted. Please provide as accurate an address as possible. Does the neon sign still exist? Does the sign still exist? Before submission, please note that your submission to the email address above is equivalent to your acknowledgment in the Terms & Condition. Before you submit an image (Image) to neonsigns.hk, please read the terms below and if you do not accept and agree to the terms please do not submit an Image. You grant to the West Kowloon Cultural District Authority (the Authority) a royalty-free, non-exclusive, transferable, perpetual worldwide licence, to publish, reproduce, distribute, adapt, exploit and otherwise use the Image in any way that the Authority chooses, anywhere on the neonsigns.hk website and the Authority’s social media platforms. You represent and warrant that you have all necessary consents, licenses, rights and permissions to submit, post, publish and make available to the public the Image through neonsigns.hk. You accept full responsibility for the content of the Image and when you submit an Image to neonsigns.hk, you must only submit your own original Image. However, if your Image is the work of others or is dependent on any rights of any third party, you represent and warrant that you have obtained the necessary rights or permissions to use that Image. You indemnify the Authority from and against any claims, actions, fines, demands, damages, costs, liabilities, losses and expenses (including reasonable attorneys' fees) arising out of the use of the Image. You agree that the Authority shall have the rights to (1) immediately remove without notice any Image which is subject to third party complaints or which, in the Authority’s view, may infringe any third party rights or be defamatory, obscene or be in breach of any applicable laws and (2) terminate your right to use or your access to neonsigns.hk. Where the Image clearly identifies children under the age of 16 you must ensure that their parent or guardian has provided the consent for use on neonsigns.hk. You confirm that the Image does not unfairly promote or further any business activities and has not been submitted for commercial gain. The Authority will only use Images where the identity of the person who submitted the Image could have been verified via email. The Authority cannot guarantee that all Images submitted will be used and the Authority reserves the right not to publish or to take down Images submitted to neonsigns.hk. The Authority will endeavour to only use the Image on neonsigns.hk, on the Authority’s social media platforms, and for any reasonably related purposes. If the Authority then decides it would like that Image to appear in a public exhibition, publication or on an website unrelated to neonsigns.hk, the Authority would consider this a potentially unrelated use and would then endeavour to obtain your further consent for this other usage. The Authority is not responsible for the reuse, misuse or illegal use of the Image on websites not under the control or knowledge of the Authority and shall not be liable for any loss or damages arising therefrom. The above terms shall be construed in accordance with the laws of the Hong Kong Special Administrative Region.